September 29 marked another big shift in my lifestyle. It concluded the my day of work at 220solutions/cvbTV, and marked the first day of full-time work at Lullabot. I'll now be doing Drupal development fulltime, along with occasional training sessions and consulting. The 'bots flew me up to San Francisco this past week to meet most of the crew and sit in on the latest workshops. I couldn't ask for a better group of people to work with. Besides the people, we've also got some awesome projects in the pipe that I'm really excited about. 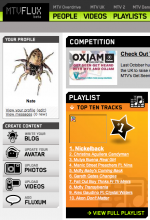 MTV UK launched their new site August 1st, powered by Drupal. I played a significant role in the development of the site: theming, custom modules, client support, and of course enhancing the webform.module, which started the whole affair. Working with such a large, global company I expected that I would be dealing with humorless suits. Much to my surprise, our company contacts are super-cool. And since their Brits they say cool things like "Cheers" and "Righto". Awesome. MTV is using the new powers granted by Drupal to determine programming for their new television channel "MTV Flux", where users contribute their own content. Based on website feedback popular content is then played on Flux. 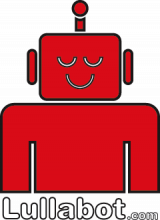 Check out the press release from Lullabot for more information. Read more about MTV UK goes Live!